Below is a list of amazing organizations and petitions that we are excited to share. We need humans to speaking up for our cause!! Trump's putting bears, wolves and elephants in the crosshairs of trophy hunters. Yellowstone's grizzlies had been safe from trophy hunters for the past 40 years. But last summer Trump stripped them of their Endangered Species Act protection. Now state officials in Wyoming are dead set on letting trophy hunters gun down 24 grizzlies that wander out of the national park. More than half of them could be females, including those pregnant with cubs. No wild creature should ever be caught in the crosshairs of an AR-15. It's all part of a trigger-happy culture that fetishizes the thrill-killing of endangered wildlife. Please click the image to link to the petition on Change.org. 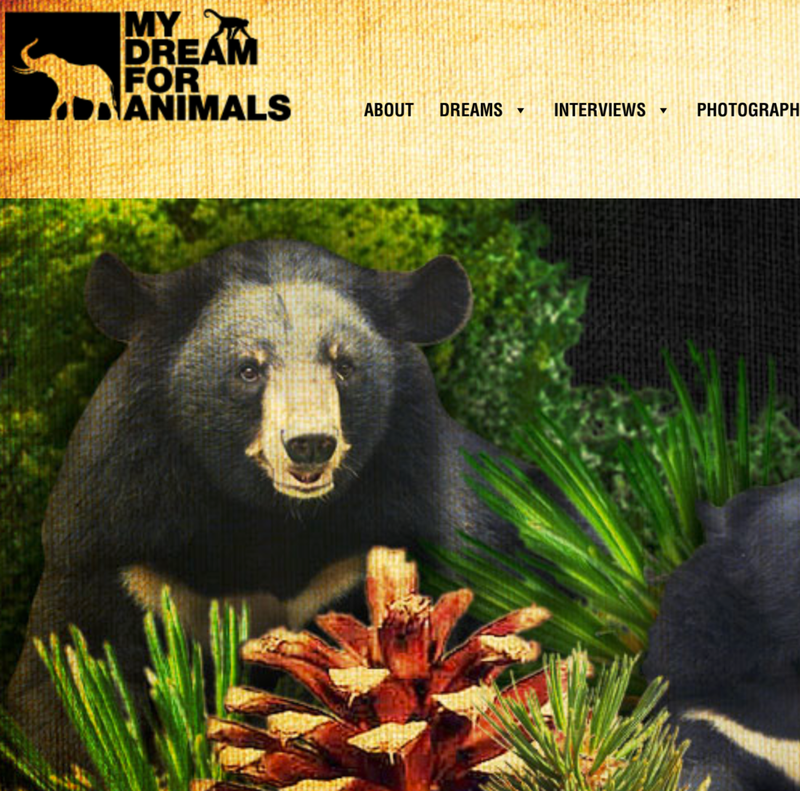 MY DREAM FOR ANIMALS, founded by a good friend, George Speros, is a animal rights awareness non-profit organization dedicated to raising awareness of how human activities affect animals throughout the world, and to provide ideas on how individuals can take action and improve the lives of animals. Their first initiative is to develop interactive education programs that provoke thought and conversations about what we can do together to impact change. MDFA profiles people and organizations that are doing tremendous work on behalf of animals, as well as showcase the magnificence, beauty and intelligence of the animal world. Please click on the image to join Ashley Judd's petition to protect the bonobos! Lek Chailert is the real deal. I met her recently at the "Love and Bananas" movie premiere. Her energy is pure and radiant. She is doing wonderful things for elephants and animals of southeast Asia, but she can only do so much without your help. HONG KONG — Hundreds of turtles, dolphins and whales become stranded every year on Thailand’s beaches after plastic impedes their mobility or clogs their insides. Some are lifeless on arrival, biologists say, and their deaths barely register with the public. 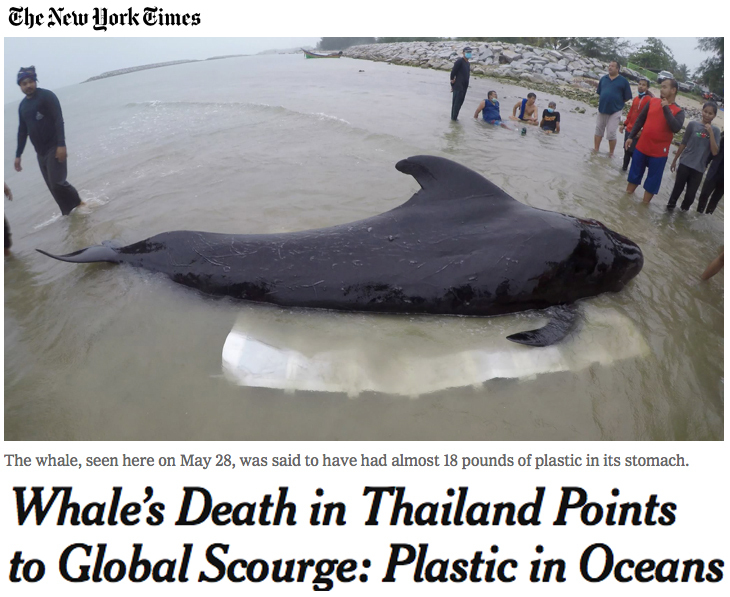 But the survival of a pilot whale that washed ashore in southern Thailand last week, in critical condition and with a belly full of black plastic bags, became a cause célèbre for ordinary people. And its death a few days later was a vivid reminder of a staggering global problem: plastics in the oceans and seas.